Group me is a free text messaging app (offers in app purchases for emojis) made by a company called Mindless Dribble Inc. Group Me is becoming more and more popular and has been popping up on kids phones. I know this because over the past couple days, I have received several emails asking about the app. User sends out a message on it. You can share photos, videos emojis and all the other things that you can do with common text messaging apps. Group me just makes it easier to set up and send to a group. You can download the group me app on any platform from IOS to Android and start using. 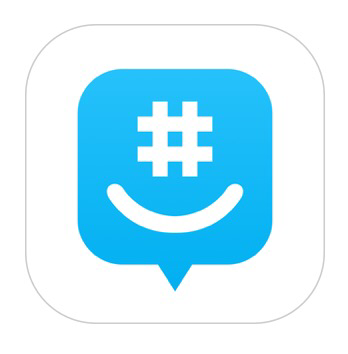 Another feature group me adds is the ability to have a non app user join the conversation. If you have a friend that does not have a smart phone, but can send SMS messages, they can still be part of the group. There is also a web client that allows access as well. Group me advertises and being the best way to group text your friends, co workers and more for free. Just like any texting app, I recommend parents to know who their children are texting. If you find this all on your child’s device, make sure it is being used for the right purpose. You can assure that there are group text being sent or they would not have a reason to use the app. Be aware of who is in their texting groups and monitor the content if need be on their group topics. I have seen this app being used more innocently by sporting teams or youth groups, but as a parent you should know the groups that your child are chatting in. Treat this as you would any text messaging app.